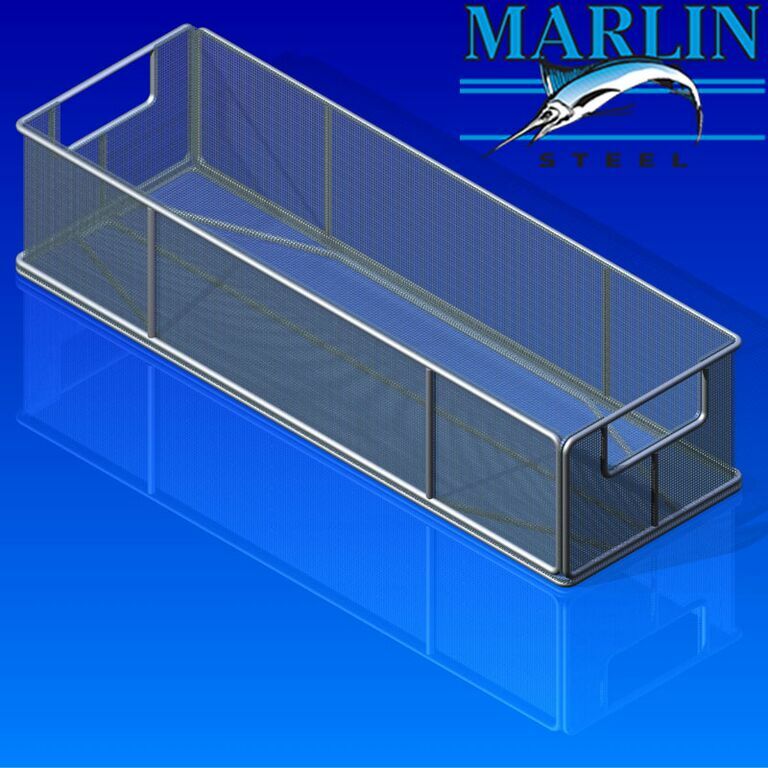 A supplier of industrial equipment requested this basket design by Marlin Steel. Wire Basket #2166001 is designed to position and hold metal stamped parts so they're able to go through a washer and dryer system. However, it does have an open layout to ensure flexibility. During this wash, the basket will go through soap water that can reach up to 180F for approximately two minutes.To get to the cleaning system, the basket must go through a conveyor. The actual basket is 26" long x 8" wide and 6" tall. It's made of durable 304 stainless steel without a coating. There are handles on each end built into the basket.This basket is capable of holding an enormous amount of weight, even though the client needed it to only hold 20-25 lbs.